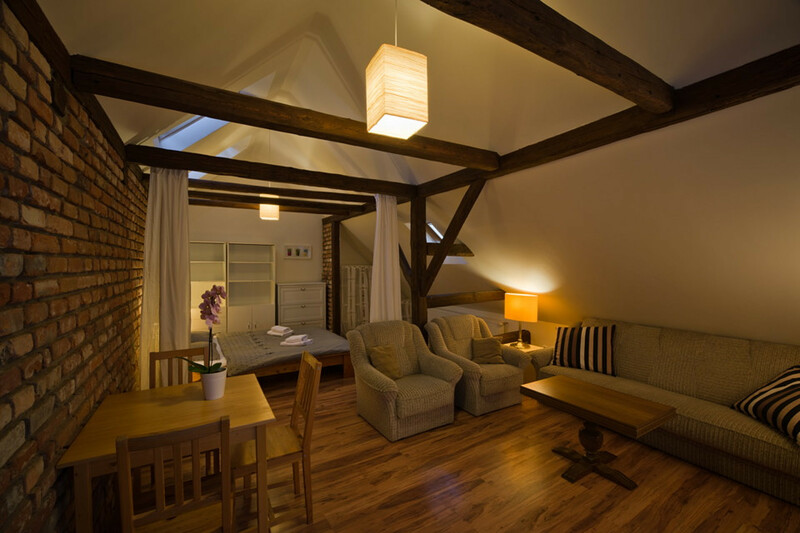 Reserve online and get 2 nights and a bottle of high-quality Mělník wine FREE. Each of you has surely experienced that moment when fate brings you something unexpected, something that will change your life. For the that moment came when I first visited the royal city of Mělník. Charmed by the unique atmosphere and ever-present spirit of the time, I returned with increasing frequency. It was only through a twist of fate that I became the owner of the charming building V Podzámčí, whose layout after extensive repairs allowed me to share the beauty of this place with you as well. 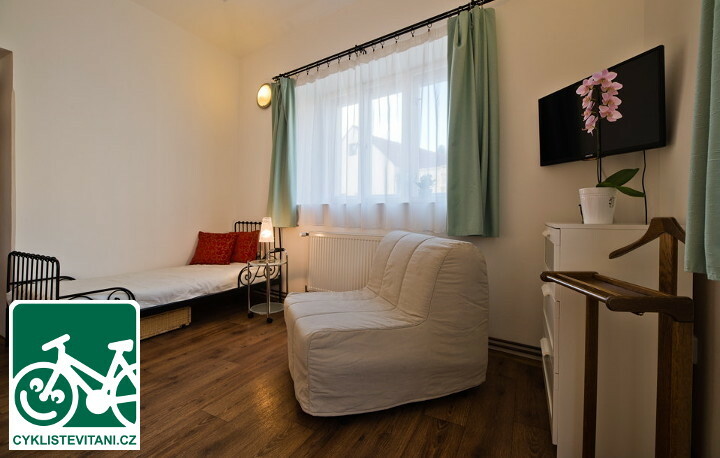 Looking for accommodations in family apartments near Prague (35 minutes by car), but also looking to relax within reach of a vineyard right in downtown Mělník? 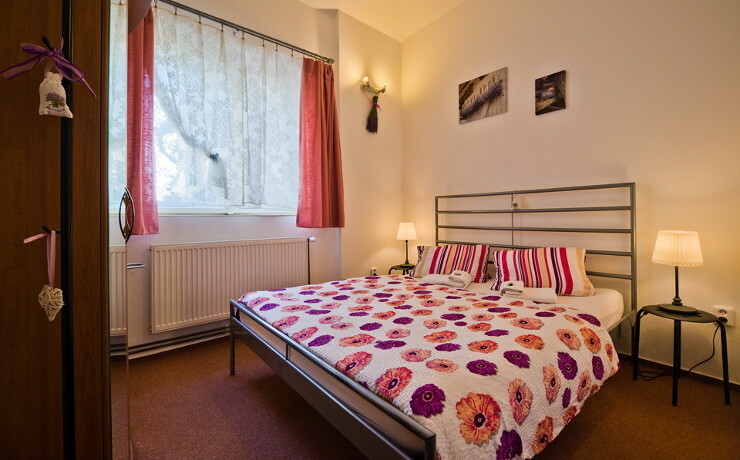 Come to the V Podzámčí apartments and enjoy a moment of rest in charming stylish apartments. You will never forget the experience of being woken by the Chateau bells, with a view of the Chateau and a vineyard but a few steps away with an amazing view of the confluence of the Elbe and Vltava Rivers. 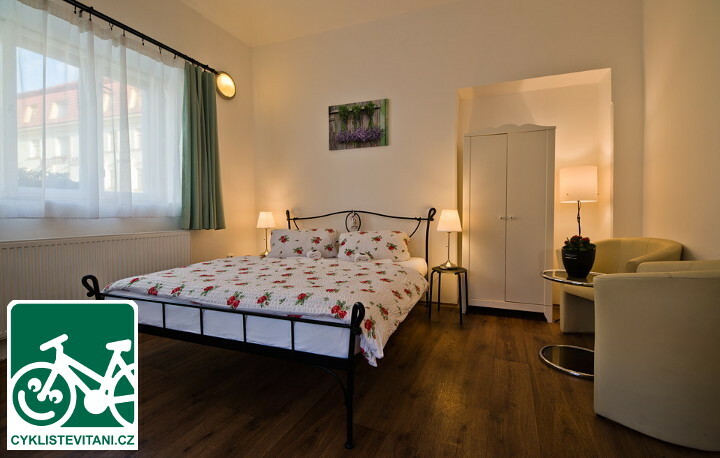 We offer accommodations in multiple locations, namely the Apartments at Podzámčí I, Apartments at Podzámčí II, and the House with Confluence View, located in the immediate vicinity. 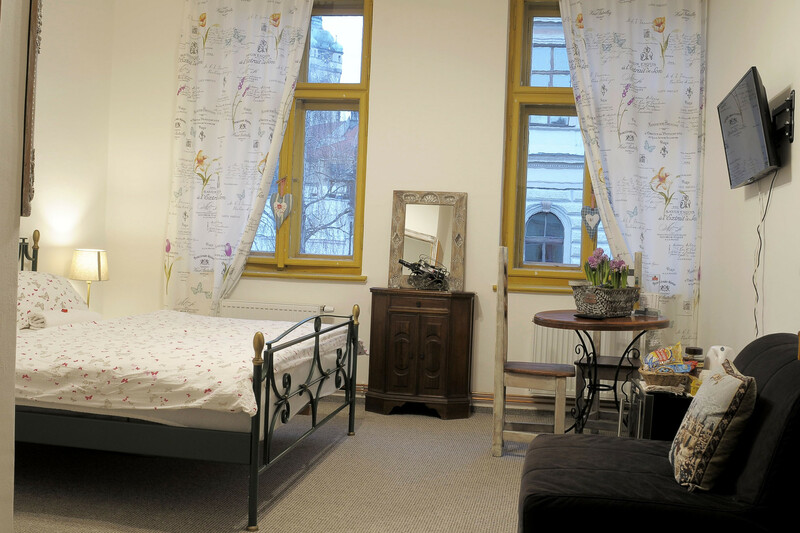 All locations are in downtown Mělník and in close proximity to the historic centre, approx. 300 m from Náměstí Míru and approx. 400 m from Mělník Chateau. All apartments are non-smoking. Option of smoking on adjacent terraces. 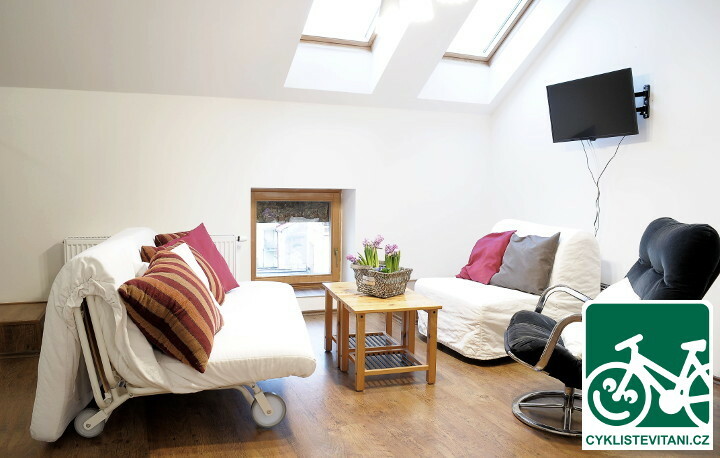 In all locations you can use a high-speed WiFi network free of charge, with the option to store your bikes in locked and monitored areas, parking is available in the close proximity of the Apartments at a free parking lot, the House has its own parking spots in the yard. Guests always have outdoor seating available on a sunny terrace surrounded by plant life. The apartments are non-smoking. Option of smoking on adjacent terraces. You can also stay with your four-legged friends. 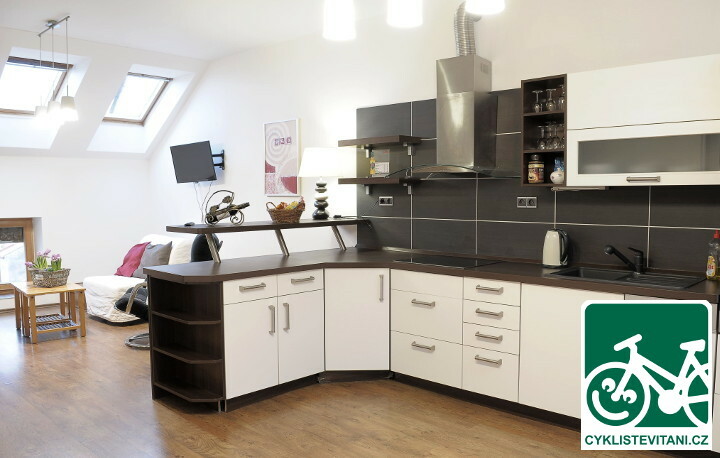 We also offer the option of purchasing breakfast in buffet table format, served at the Apartments at Podzámčí II location. 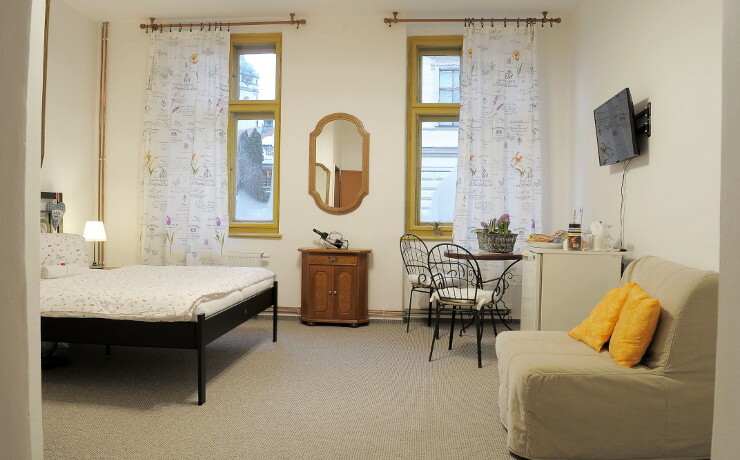 Upon request we can equip your apartment with a children's bed or high chair, etc. We will endeavor to meet any other requests or needs to your fullest satisfaction. You are our guests and we are here for you. You can ask a question or submit your reservation to the following email address.